Zora Neale Hurston made the connection between Greek tragedy and the sanctified church many years ago. 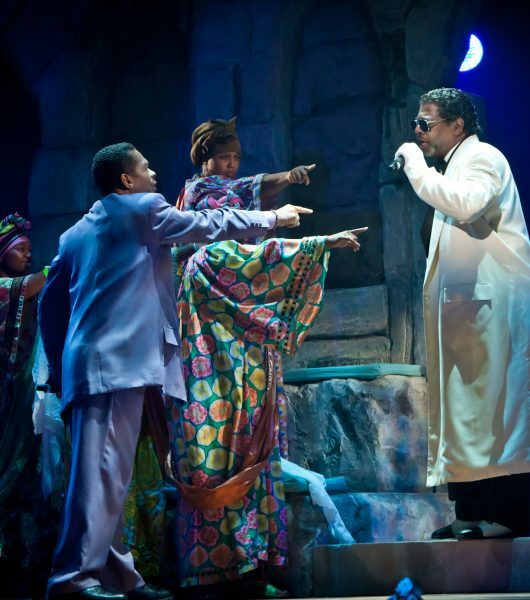 The Gospel at Colonus is a proof of her hypothesis. 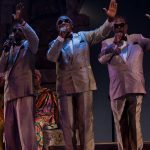 All performances are FREE and take place at 8pm at the Delacorte Theater in Central Park. Free tickets will be accessible via the line in Central Park, TodayTix lottery, borough distribution, and Public Theater lobby lottery. 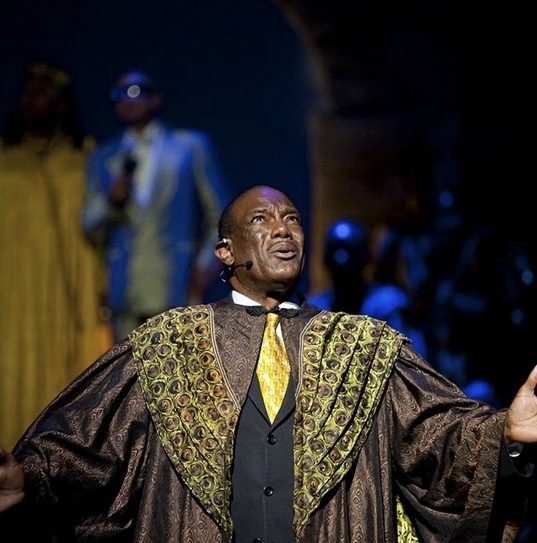 The Gospel at Colonus is based on an adaptation of Sophocles’ Oedipus at Colonus in the version by Robert Fitzgerald and incorporating passages from both Sophocles’ Oedipus Rex and Antigone in the versions by Dudley Fitts and Robert Fitzgerald, which are published as The Oedipus Cycle of Sophocles, a Harvest/HBJ Book, Harcourt Brace Jovanovich, Inc. 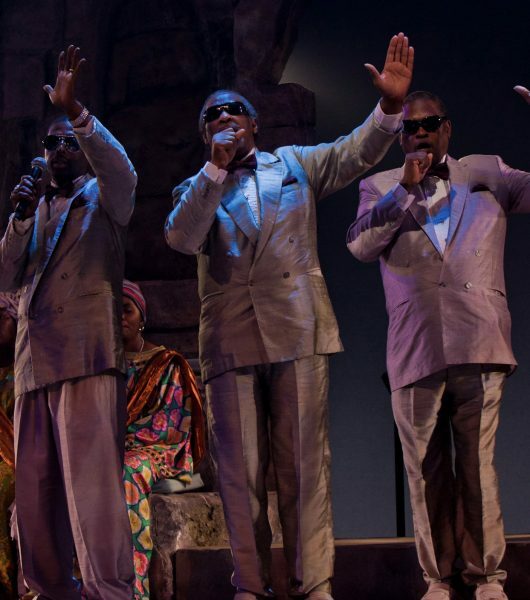 The text of The Gospel at Colonus is available through Theater Communications Group, NYC. 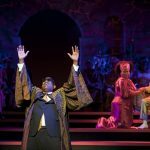 The Gospel at Colonus is made possible by the JKW Foundation, the Howard Gilman Foundation and the American Express Foundation. 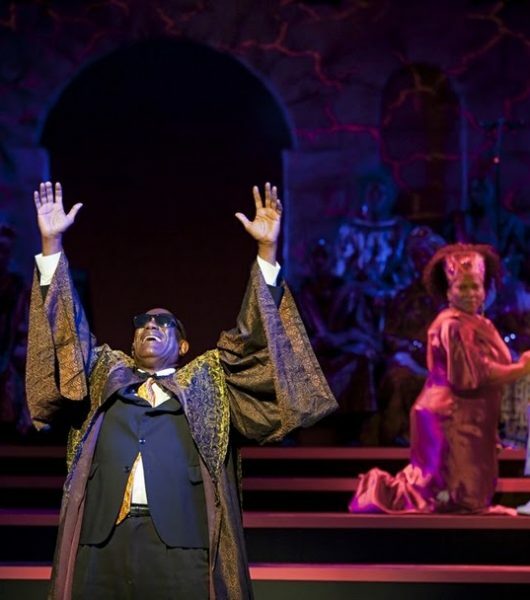 Development of The Gospel at Colonus produced by Liza Lorwin (for Re. Cher.Chez Studio) 1980-1983; premiere,1983, produced by the Brooklyn Academy of Music Next Wave Festival (Harvey Lichtenstein, executive producer; Joseph V. Melillo, producer), in association with Walker Art Center, Nigel Redden, Director of Performing Arts) and Liza Lorwin. Produced on Broadway in 1988 by Dodger Productions, Liza Lorwin, Louis Busch Hager, Playhouse Square Center, and Fifth Avenue Productions; executive producers Michael David, Edward Strong, and Sherman Warner.